The coffee pot in my office – The smell! The elixir! The bargain price I bought it for! Online shopping – Christmas is coming in the mail! 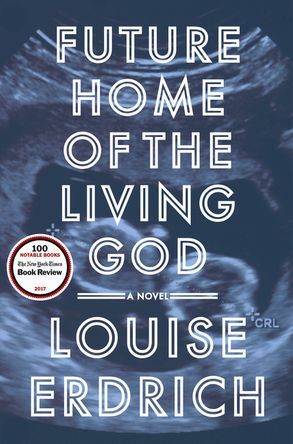 For my book club meeting tonight we read Future Home of the Living God by Louise Erdich. This is the first book of hers I have read. Although it was well written I did not care for the story. The diary/letter to an unborn child format was pulled off nicely. The descriptions were beautifully written in sections. I cognitively understood the story but didn’t care all that much about what happened to the characters. Since the book just came out I wasn’t sure I would get a copy in time for the book club meeting. I ended up with a hard copy and was able to download the digital copy this week too. It did make me think about how I would react to the idea of the world ending. I am not sure I would stuff the walls of my house with booze and cigarettes though. As depressing as the story actually is, the book doesn’t have that connotation as you read it. There is a thread of hope. I took my notes on notecards for this book. I have a new found love for notecards lately, especially color cards! 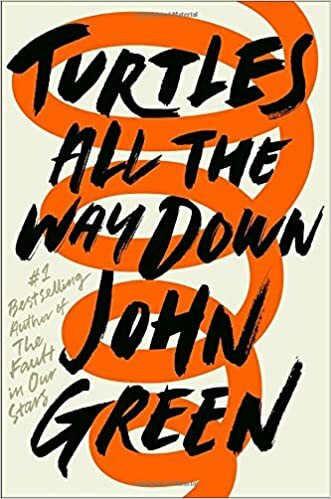 Another book I have for a book club this week on Thursday is John Green’s new book Turtles All the Way Down. I enjoy John Green’s writing and am always recommending his books to my middle schoolers. He plays with ideas and language and that is exciting as a reader and a writer. The notes for this book I gathered on my phone in my Google Keep app. I love this app and dictate to it often especially in the car. John Green, I think your book is like pizza! I think that will be my new go-to compliment for everything! Now onto the next book! Happy Reading!